Final, definitive, authoritative and no less than epic. Such are these monumental lectures with which L. Ron Hubbard put the concluding exclamation point to the legend that bears the name, Saint Hill Special Briefing Course. For in his very final lectures—and from the vantage point to which the subject had now ascended—he ended by defining Scientology itself. Standing as the culmination to what Scientologists all over the world know and apply today, here is Mr. Hubbard’s landmark overview and summation from the heights of OT. Final, definitive, authoritative and no less than epic. Such are these monumental lectures with which L. Ron Hubbard put the concluding exclamation point to the legend that bears the name, Saint Hill Special Briefing Course. As Mr. Hubbard planned from its outset, the Briefing Course created an entirely new breed of auditor, one whose technical skill defines the word itself. While as for everything the Saint Hill era represents as a whole, this is where he fully mapped the route to Clear and delineated its exact steps on the Grade Chart. It was here, too, that he developed the Organizing Board, literally a Grade Chart for the Third Dynamic. But if the era was already epochal, its climax was no less historic. For in his very final Briefing Course lectures—and from the vantage point to which the subject had now ascended—Mr. 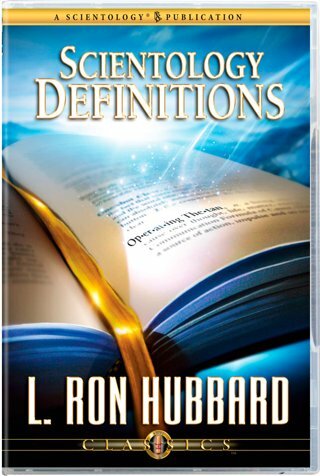 Hubbard concluded by defining Scientology itself. Standing as the culmination to what Scientologists all over the world know and apply today, here is L. Ron Hubbard’s landmark overview and summation from the heights of OT.